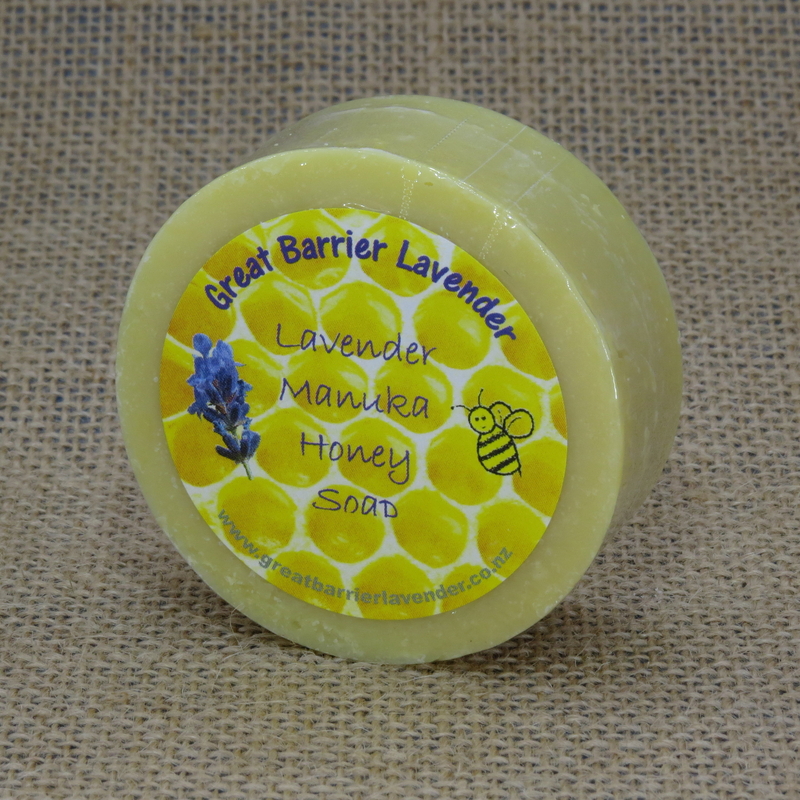 This is our classic Coconut and Olive Oil natural cream coloured round soap, with beeswax and Great Barrier Island Manuka Honey, scented with Lavender Oil. This soap is renowned for its silky and moisturizing feel. Good for all skin types and especially for those with sensitive skin.